What is it? 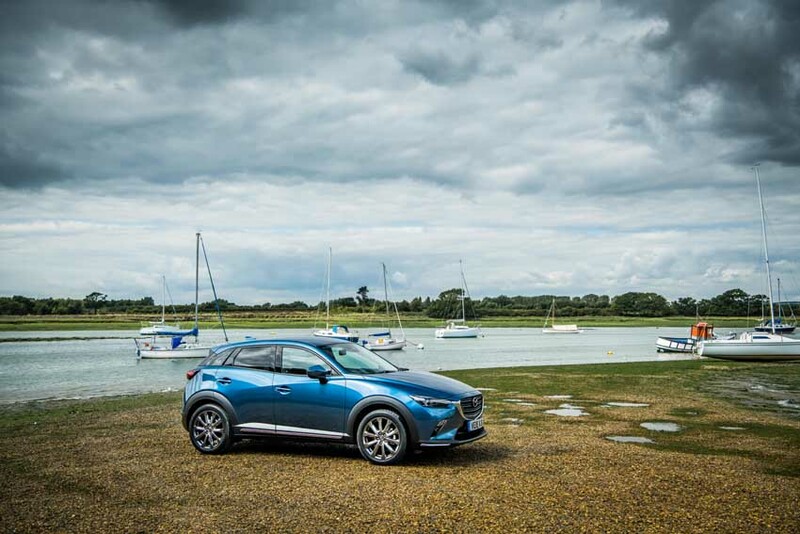 The CX-3 was launched in 2015 as Mazda’s first compact SUV to take on the crossover market. Now it’s back with a mini-facelift and hoping to stamp all over the competition. 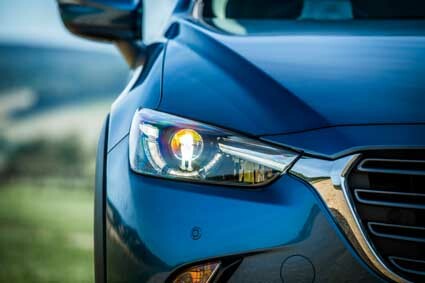 First impressions of the Mazda CX-3? The overall look of the CX-3 hasn’t really changed but there’s an updated front grille with differing fin thicknesses giving a sharper face while the rear taillights have been redesigned with a more premium look. A new paint colour, Soul Red Crystal, has now more depth than the previous Soul Red. What about the interior? 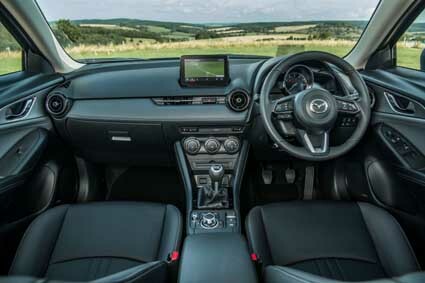 Inside the cabin is where the real changes to the CX-3 have been made. Android Auto and Apple CarPlay are now available and existing CX-3 owners will be able to retrofit this to their cars. The lever handbrake has been replaced with an electric version and the multimedia control dial has moved forward slightly. A padded armrest nestles between the front seats while the rear armrest now has cupholders. The foam in the seat cushions has been changed for comfort and there are additional upholstery options available. And behind the wheel? The CX-3 was always fun to drive and the upgraded 1.8 diesel engine ensures it can keep up with the petrol version. As you’d expect from Mazda the CX-3 handles more like a hot hatch on bends and also felt very comfortable and steady at motorway speeds. CX-3 in the city: At home in the city it is easy to manoeuvre, and visibility is good. Both engines have enough power to nip in and out of traffic and noise inside the cabin is minimal. CX-3 on the open road: The popular 1.5 litre diesel engine has been dumped in favour of a 1.8 litre lump with egg-shaped pistons for increased efficiency. However, the 2.0l petrol engine is still the winner – it might only have 121PS but isn’t relying on a turbo to give extra boost so gives smooth acceleration throughout the full range. How Much? Prices start at €21,295 for an SE 2.0l petrol and rise to €29,495 for a range-topping GT SL 1.8l diesel model. Road tax is €390 for petrol models and €200 for diesel versions with CO2 emissions ranging from 114 to 141 g/km. What about my options: There are 4 trim levels available – SE, Executive, Executive SE and GT. All but the base model petrol come with LED fog lights and rear privacy glass. The range-topping GT model has 18” alloys, LED head and rear lights and chrome effect trims. Engine options include a 1.8l diesel or 2.0litre petrol and both meet the strict WLTP/RDE test cycle and Euro 6d temp emissions standards. The 4 wheel drive model is not being launched in Ireland.